The trio Vitamin E, A and C are three essential vitamins and powerful antioxidants that keep us healthy. 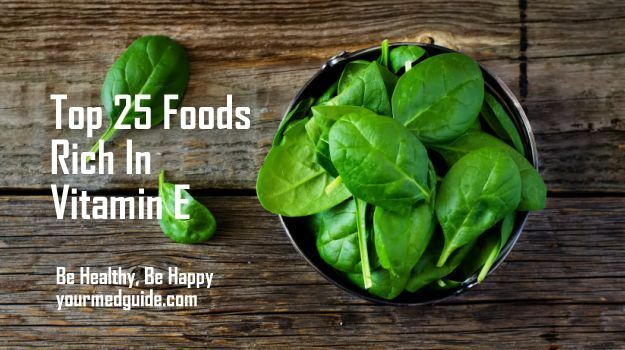 While Vitamin E is generally mentioned in relation to healthy skin and eyes and a strong immune system, it also has a critical role to play in overall health. Our bodies cannot make Vitamin E and since it is an essential nutrient, we have to source it from our diet through foods rich in Vitamin E. Supplements are an option, but the best choice is foods. Consuming plenty of foods rich in vitamin E can make sure we get enough to keep our body functioning properly. Rich in natural antioxidant properties, Vitamin E protects our body cells from damage. This helps in preventing several health problems related to digestive and cardiovascular system and cancer (breast, prostate and colon). Vitamin E guards our system’s immunity ensuring a healthier liver and kidney functioning. Vitamin E rich foods help in delaying aging process and preventing skin pigmentation. They moisturize while nourishing your skin and hair, giving you a completely revitalized look. Vitamin E is extremely helpful for women. It combats menstrual cramps and Dysmenorrhea and aids in a complication-free pregnancy. Vitamin E protects your body from environmental damage. It stops the production of free radicals that contribute to several chronic diseases. In addition, it accelerates the healing process while stimulating the generation of new cells. It reduces the odds of blood clotting in the body plus works to improve the functioning of muscle tissues. And for all those of you who want to shed a kilo or two, Vitamin E has several weight loss benefits too. In men, Vitamin E is also found to be very effective in improving fertility. Medical experts are also researching on the role of Vit E in preventing mental disorders like Dementia and Alzheimer’s. As soon as we think of Vitamin E. we think of almonds. They are among the richest natural sources of this vitamin. Raw seeds of sesame, pumpkin or sunflower are excellent sources of Vit E. Either use seeds as a snack in itself or garnishing on salads and soups. High in numerous other fundamental nutrients. Kale is one more excellent provider of Vitamin E.
Many plant seed oils are good sources of Vit E. Among all Wheat germ oil has the highest Vitamin E content. Additionally Sunflower oil, Hemp Seed, Coconut, Olive, and Cottonseed oils are also rich in Vitamin E.
Hazelnuts contain Vit E and a lot other great nutrients. Try including one ounce of hazelnuts in your routine diet. Naturally loaded with Vit E plus many other Antioxidants and essential nutrients such as calcium and Folate, spinach is one of the simple veggies to be incorporated in your routine diet. While Turnip greens taste a little bitter, they have a great share of Vit E and several other vital nutrients. It also provides sufficient folate as well. Known as a primary constituent in pesto, pine nuts can be great Vit E rich addition to your fruit salad. Parsley is one more wonderful source of Vit E. You can add this excellent spice to your salads or dishes to make them rich in Vit E.
Broccoli is known as the best detox food and it is one the healthiest Vit E rich foods. Just one cup of broccoli efficiently gives you 4% of your daily requirement. This is one of the favorites, one of the healthiest and most delicious Vit E rich foods on the planet. Avocados represent Nature’s creamiest, oil-rich fruits. Papaya is extremely beneficial among the Vit E sources. Although it is most commonly known as Vitamin C rich fruit, it has remarkable content of Vitamin E too. Olives remind me of James Bond and Martinis: Use it as a fruit or oil, olive is a great way getting your daily Vitamin E. Add them to pizzas, salads, pastas or consider using them alone with bread. Inedible when raw, taro root is best cooked, boiled or integrated in breads. You can consider using it as a substitute for potato. Commonly used as a snack, Apricots hold moderate amounts of edible fiber as well as a number of essential Vitamins including Vitamin E. You can also blend them into a fruit salad. Wheat plant is also a Vit E rich ingredient. Nutritionists believe that processed wheat often lacks essential nutrients because of the removal of germ which contains a major portion of the nutrients. Margarine often contains corn oil which offers your body 8 mg of Vit E/tbsp. Always ensure that you buy a brand containing corn oil elements. Kiwis and mangoes are two significant sources that you may consume to increase your Vit E intake. You can eat these fruits plain or add them in a fruit smoothie. You can also them into a fruit salad after mixing up with yogurt. Red colored vegetables especially red bell peppers are a splendid source of Vitamin C, E and Antioxidants. Basil and Oregano have long been used in pizzas and pasta sauces, but you can also use them as salad toppings or think about incorporating them in sandwiches. Pistachio is another great snack you should include in your routine diet to get your dose of Vit E. Best when consumed raw, as roasting kills many of their nutrients and vitamins. Peanut butter is also a considerably good source. Spices like red chilli not only add taste your cuisine but also fills it up with Vit E and other vital Antioxidants. Call them a fruit or a vegetable; Tomatoes invariably make their way into our diet in some form. 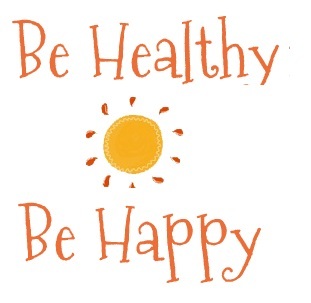 They also provide you with Vit C, Iron and Fiber along with Vitamin E.